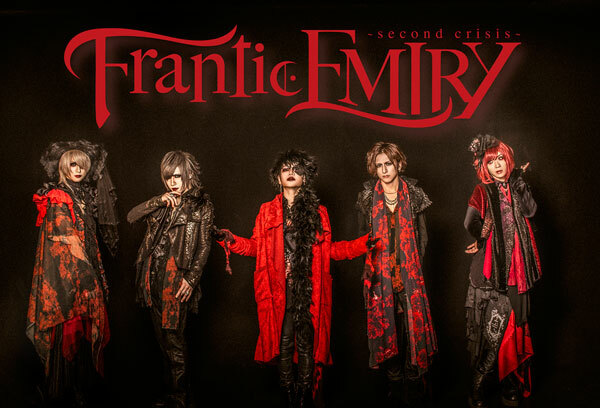 Visual Kei band Frantic EMIRY announced its comeback after 9 years – with new members and new CDs. There are two CDs announced: the first one will drop on May 1st and is titled "Angels Cry". It is very limited and can be bought only in particular shops that weren't revealed yet. It costs 1000 Yen plus tax. But there's another CD that will be released through various shops and comes as Limited Edition and Regular Edition. The title of that single is "Angels Cry / World End" and it drops on May 29th. The Regular Edition features the two songs that are also mentioned in the title and costs 1500 Yen plus tax. The Limited Edition for 2000 Yen plus tax comes with a DVD that features the music video of Angels Cry. Speaking of music videos: The band has re-recorded its first and only music video "World End" and added some new sound to it. You can check out a preview for the new version below. The original one can be found here. that day, the world inside the girl ended. And what had ended and begun and the same time was the insanity inside the girl. hope came to light as well as despair. That day, what happened to EMIRY? Unfortunately this translation might also mean sad news for fans because the title of this text is "the diary of EMIRY that will vanish on 2019/8/31". So there are chances that the band will stop its activities again that day. But still, fans in Japan can see them live this summer: on June 16th in Tokyo and on June 22nd in Osaka. And maybe more dates will follow?